AVA retail SmoothShop is a clerkless shopping experience where a shopper enters a store with a payment instrument such as phone, checkin to the store and then if needed switch the phone off. After doing normal shopping in the store, when the shopper is done shopping, leaves the store by simply walking out of the exit line. AVA retail’s Ai based technology will charge the shopper on their payment instrument, for the exact item’s shopper purchased. Shopper shops normally: go to shelves and aisles in any order and take enough time to shop. Pick merchandize to review, keep in the cart or place them back, etc. When shopper finishes shopping, shopper walks out of the store. After exiting, the shopper receives the receipt of the merchandize purchased within 5 minutes by email, on phone screen, and if needed a paper-copy. AVA retail .Ai uses IoT, CCTV and related camera technology, combined with the power of Artificial Intelligence, machine learning, and proprietary methods to carry out the above mentioned process. Watch the videos below to get a glimpse at some of the inner workings we are comfortable sharing here. SmoothShop enables a smart store for any retailer that would like to provide a frictionless, never-stand-in-line experience. Our business model is to build & service such stores for desirous retailers for a fee. We are not a retailer ourselves. What percentage of shoppers visit the shoe section on an average Monday morning? How does that fraction vary over a typical week? Is my latest visual campaign bringing results? What lift if any did it create? What shelves in the store are not as effective? What works to make them more effective? Can I get data to back up that determination? What is our actual staffing need in stores on an average Tuesday afternoon? When is my staff most effective? Managers can filter data by specific time period (day, week, year,...), any time pattern, by product categories or SKUs, by geographies, by stores, or zones in the stores, or shelves! Providing you magic of data and machine learning. “Video helps persuade more than 60% of people to buy a product” – per independent studies on this subject. AVA retail’s AVA SmartShelfTM (a dynamic visual merchandizing) brings this power into the store with an exciting twist. It plays promotional product videos the moment customers interact with products – by using existing digital signage/ displays nearby. Shoppers love it! Simply put, it provides them an easy way to access information, review details, and make purchasing decisions while increasing loyalty. Using this module, retailers increase sales per marketing dollar, improve trial rate, increase shopper acquisition, lift shopper conversion, and maximize the impact of their product placements. Provide dynamic offers based on supply, demand, and other factors. 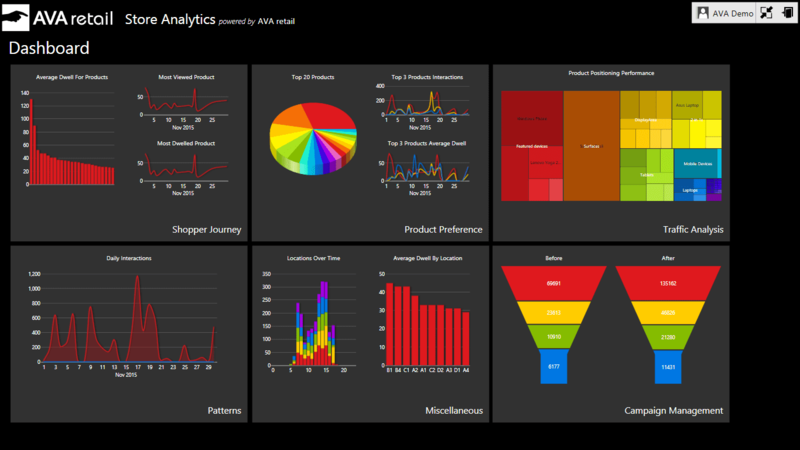 AVA retail is changing the way retailers do business through a data driven approach. Data is collected through sensors in retail stores. Sensors that track every activity of every shopper - whether or not they carry phones. Our ingenuity is in using variety of sensors: optical, infrared, bluetooth, NFC, directional, 3D, and gyroscopic sensors. These sensors are smart and connected (internet of things), and our algorithms deduce truth in the moment and digitize it - instead of storing for later processing, which can cause privacy and security concerns. AVA retail has built a digital nervous system platform that uses IoT sensors to collect data, uses algorithms on the edge to perform sensor fusion to sense the truth in real-world, and uses the Azure IoT cloud for state-of-the-art, proprietary deep learning techniques applied to the sensor data. This AI platform powers AVA retail’s line of products, from analytics through the most advanced in-store experience, cashierless checkout that we call AVA SmoothShop. AVA retail is a Redmond, Washington based company that provides actionable insights by digitally transforming brick-and-mortar retail to deliver more profitable and engaging customer experiences. 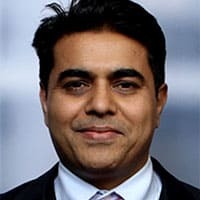 The company is led by Atul Hirpara, who has 13 years of technology startup and leadership experience, combined with deep alliance and product experience. Atul is the visionary that saw the retail industry transformation and the products that it would demand – and built exactly that. Atul has an MBA from Cornell and an Engineering degree from IIT-Bombay. AVA retail brings true parity to physical retailers to what the top e-tailers can do, making them competitive again. Why can’t a retailer track every shopper as they travel through the store and interact with products? Why can’t they track dwell time and paths? Why can’t they deliver insights and predictions, in real time and over time? The answer is, with AVA retail they can. AVA retail leverages IoT sensors to digitally transform physical retail locations, creating digital footprints of in-store shoppers, store associates and store inventory that was not available before. 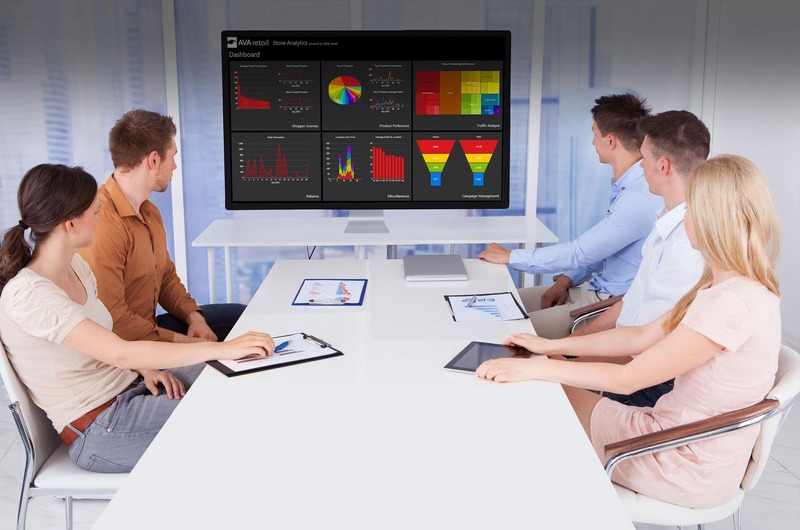 AVA retail then converts this data into insights through their Analytics dashboard, empowering retailers and CPG companies to create better shopper experiences, better staffing efficiency, and higher sales conversion. 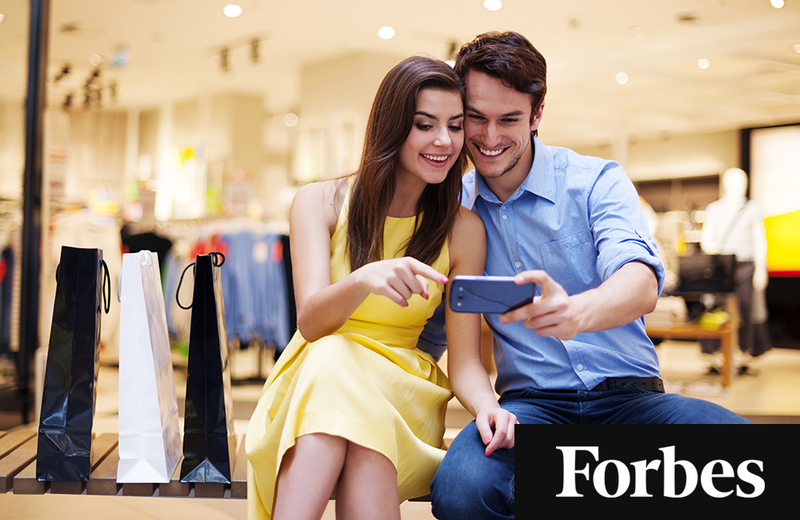 This started out as a platform for shopper analytics, then grew to encompass compelling shopper experiences such as Smart Shelves and customized offers. And now this same platform is expanded to drive the cashierless checkout solution, AVA SmoothShop. technologies that get them shopper's behavior data from basic counts to details. the effectiveness of multi-channel marketing for in store sales. if have seen a product video. If its presented at the right place and right time it gets sweeter. DENVER — Choice Market will be the latest convenience store retailer to enter the autonomous checkout space with the opening of its third location. 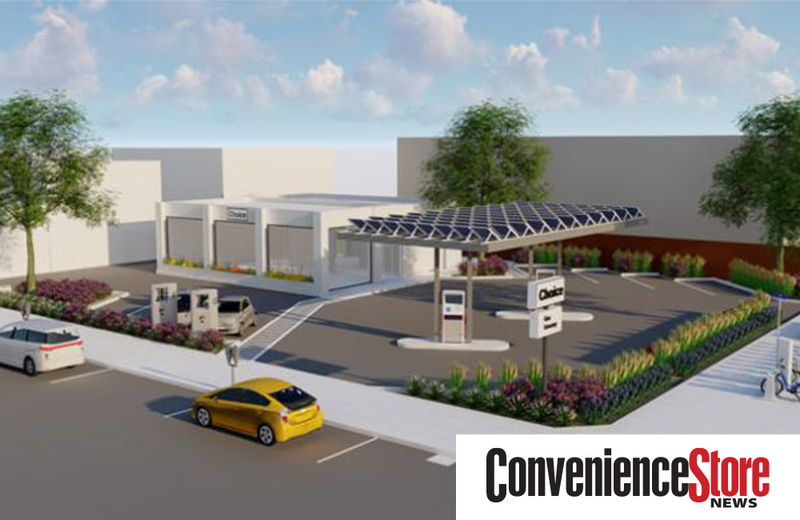 The new, 2,700-square-foot format will open during the second half of 2019 at 2200 East Colfax and feature fuel pumps, electric vehicle supercharging, a bike share terminal, electric scooter charging stations and solar collection on the canopy. It will also offer autonomous checkout, order and pay ahead via the Choice mobile app and traditional checkout. "There's nothing more valuable than our customer's time and we are really excited to offer this new format which allows them to combine several different shopping occasions in one stop, while providing them the option to skip the checkout process all together," said Mike Fogarty, founder and CEO of Choice Market. "If customers cannot make it to the store, we will deliver any of our products to their doorstep within 45 minutes. That is true convenience." Fogarty was a featured speaker at the 2018 Convenience Store News Convenience Foodservice Exchange in September. To enable the autonomous checkout, Choice partnered with Ava Retail, which uses artificial intelligence, computer vision and internet of things to track customer's purchases within the store. This platform uses less hardware and infrastructure than other competitors while still leveraging the powerful Microsoft Azure cloud, according to the company. "Real convenience is what Choice Market is doing using our technology — offering their customers a truly automated experience," said Ava Retail CEO Atul Hirpara. "Retail is undergoing a major transformation. With the power of Ava's technology, Choice Market is pioneering this transformation." Choice currently has one location open in downtown Denver. A second store, which is under construction, is set to open in the second 2019 in south Denver. With the upcoming changes to liquor laws, Choice will also be one of the first companies in Colorado to offer delivery of prepared foods, groceries, and full strength beer in one transaction, according to the company. To facilitate the company's growth, the company hired industry veteran John Varsames as its chief operating officer. Varsames has more than 30 years of experience with opening and operating natural groceries, including leadership positions at Wild Oats, Whole Foods and Alfalfas. "I am thrilled to be joining the Choice Market team to help lead business operations and grow this exciting brand," Varsames said. "Healthy convenience is a fast-growing segment and our innovative approach will be a great addition to Colfax." "We're honored to partner with Choice Market to create a fresh, new concept at the intersection of healthy living and convenience. Chute Gerdeman and Choice Market share similar brand values — belief in doing good for the people and communities that we serve," said Chute Gerdeman CEO Brian Shafley. "As creators of brand experience and customer engagement, we look forward to our collaboration with this future-looking brand partner, and are confident our work together will further propel the mission of Choice Market," he added. For this project, Choice has partnered with local developer St. Charles Town Co., which has a history of adaptive reuse and urban revitalization in the Denver area. "A contemporary, fresh, and local market will fill a huge void in this dense part of the city. It has been nearly two decades since we had Wild Oats next door to this site," said Charlie Woolley, principal at St. Charles Town Co. "We are pleased to partner with Choice to bring fresh food and innovation to the neighborhood." Denver-based Choice Market combines the operating hours, store size and transaction times of a traditional convenience store with the product selection of a natural grocery and fast casual restaurant. Lowe’s is testing augmented reality and virtual reality tools it says helps customers visualize and “feel” a large home improvement product in the context of the customer’s living space. Lowe’s Innovation Labs, with offices in Kirkland, Washington, Mooresville, North Carolina and Bangalore, India, were established four years ago to delve deeper into these questions, said Shabtai. Often working with startups, the company has since rolled out several pilot projects to test customers’ comfort with virtual and augmented reality, including Holoroom How-To, which immerses a customer in a DIY project – such as tiling a shower – and gives them step-by-step instruction to complete the task; employee training programs that involve virtual reality; Holoroom Test Drive, a feature that uses VR to offer customers a chance to sense the feeling they are actually holding and using a power tool; and “View in Your Space,” a mobile app feature which lets customers visualize how a piece of furniture may fit within the physical dimensions of their own living spaces. Of these pilots, two currently are still in market, including Holoroom Test Drive in Charlotte and the AR feature which went live for Android users in March. While quick turnaround trials may suggest there are challenges getting customers to comfortably use the technology on a regular basis, Shabtai said the timing is part of Lowe’s approach to test new use cases, study the outcomes, and apply the lessons to future releases. Other retailers are also jumping on the VR/AR bandwagon, including Home Depot and Walmart. “We’re trying to refine the experience and move on to an application that will be better and ready to scale,” Shabtai said. Shabtai said early results are showing that VR-and AR-enabled tools offer two key use cases: helping customers better navigate how they’ll use tools or whether products are physically compatible with their homes; and helping employees learn more quickly to offer more personalized expertise, and ultimately, add more value to the in-store experience. “When [customers] come into a Lowe’s store, they want to talk to an employee who is a real expert in the space,” said Shabtai. According to company proprietary data, employees who are trained on machinery using VR are 76 percent more likely to try out a piece of machinery compared to those who were trained using conventional methods; and customers have 42 percent greater recall with VR tools compared to YouTube how-to videos. He conceded that the biggest challenge standing in the way of more mainstream adoption is cost, while AR can be more quickly deployed given the ubiquity of smartphones that are already equipped with enabling technology. 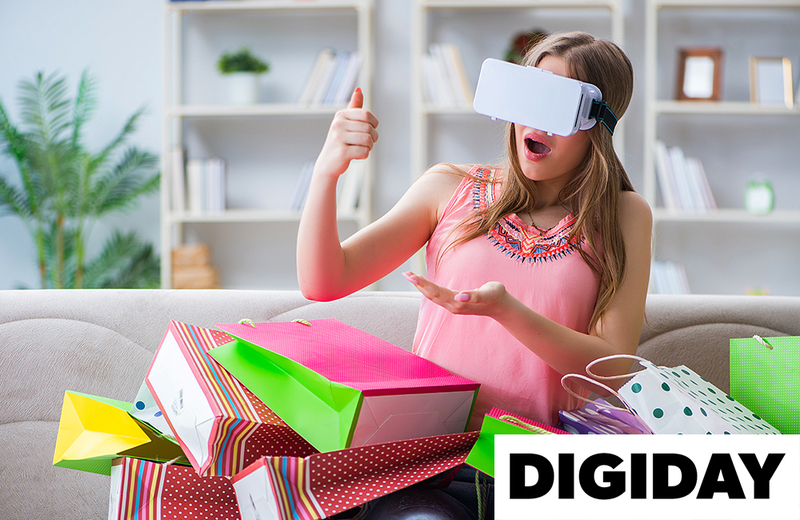 Retailers’ advantage — particularly those whose core product offerings are big-ticket home appliances — is to tie the customer closer to the brand through these types of immersive efforts. Tactile experiences through virtual and augmented reality ways legacy retailers can keep customers loyal, especially with competition from Amazon. “Amazon wins on convenience and selection, so how can retailers combat that?” said Jim Cusson, president of retail marketing agency Theory House.”A lot of this has to do with the experience and brand engagement [derived from immersive tools like VR and AR].” Morningstar analyst Jaime Katz wrote in a recent report that Lowes’ business model is built off of customer service, knowledge, and innovation; using VR and AR could help augment its reach. Despite larger retailers’ shift to AR and VR as differentiators, there’s a risk customers may preview items within the VR and AR interfaces and simply buy them on Amazon, so retailers like Lowe’s need to focus on those customers whose core goal is the pride they derive from carrying out hands-on home improvement projects. 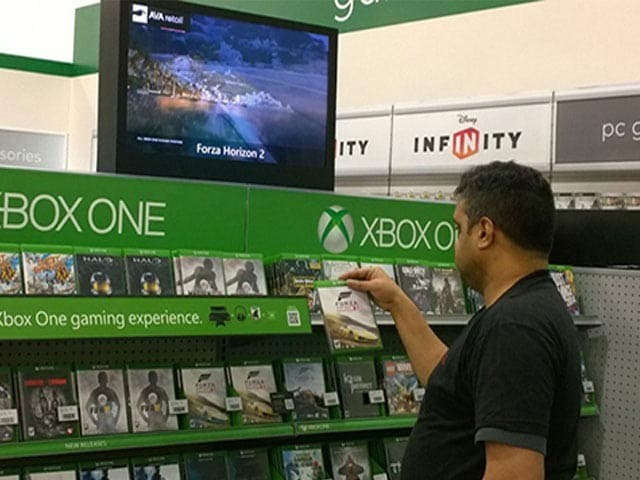 These customers aren’t necessarily motivated by price, said Atul Hirpara, CEO of AVA Retail. Amazon dominated the headlines this week with its annual July holiday. But I, for one, did not give it much notice. It has become de rigueur for Amazon. In fact, whatever hiccups Amazon did encounter this week will only make it stronger in the long run and possibly better prepare Amazon for what I fear more than anything else in the world—a last-minute preemptive Prime Day a week or two before Black Friday somewhere down the line. Such a move would be the Death Star, planet-destroying blow to traditional holiday retail. Even a minuscule 0.000001% chance of this happening frightens the hell out of me. So, until then, July is just an amuse-bouche and not a time to get overwhelmed with Amazon-related Prime Day shenanigans. It is far more important to keep one's eyes on the prize each week, to look past Prime Day, and to maintain focus on who (and who is not) planning ahead for the future and going after the next great innovation in retail—the personalized physical store—so as not to be left in a cloud (pun intended, as you will see) of dust ten years down the road. 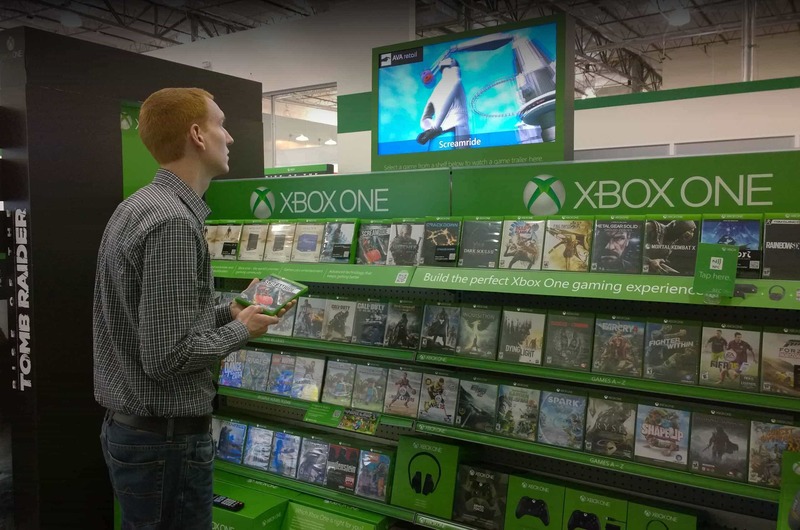 The most important news of this past week was therefore not Prime Day, but Walmart's clear decision to throw its hat into the next-generation retail ring with its new long-term partnership with Microsoft. As I wrote recently, Amazon and Alibaba have both been doing their damnedest to begin defining what the future world of retail looks like: Amazon with Amazon Go and Alibaba, most specifically, with its Hema grocery store in China. While the physical superstructures of these installations are almost irrelevant, the technical operating platforms for data capture atop which both of these concepts sit are vitally important. Just as e-commerce debuted in the late 1990s, nearly 30 to 40 years after the last large-scale innovation in retail, quite soon a new technological operating system for retail will also emerge on the same time trajectory, sometime between 2020 and 2030. The race is on to see who cracks the code first and who then benefits from selling this system to the countless other retailers that could never develop something so advanced on their own. Sound familiar? It should. It is the same mousetrap Amazon laid with its e-commerce browser at the turn of the century, when Amazon powered many retailers' e-commerce businesses. No one should be surprised that Amazon is at it again and that Alibaba is thinking the same way. Walmart smartly realizes that it cannot lay dormant while Amazon and Alibaba chase this Holy Grail, which is why the announcement of its partnership with Microsoft this week was so important. Walmart inked a partnership with Microsoft for a five-year, full-suite cloud deal. According to Retail Dive, Walmart will "capitalize on Microsoft's artificial intelligence, machine learning and data solutions for cloud innovation projects, including building out its global IoT platform on Azure." Effectively this statement means that the deal could begin to give Walmart the three legs to the stool it needs to compete effectively in the world of next-generation retail: cloud commerce, mobile applications and location analytics (aka the Holy Trinity). The intersection of these three technological capabilities is what will give retailers an unprecedented level of data capture within a physical retail store. It is what will turn physical stores into the analytical equivalents of e-commerce browsers. It is what will enhance not only the science of physical retailing, but the artistic expression of it as well. Harnessing these three technologies will give retailers, all things being equal, an almost regression-like understanding of the value or impact in real-time of every action and reaction within a store, meaning physical experiences will be able to be tailored uniquely to each individual who decides to enter a retailer's four walls. The days of a "mass" experience will be over. Every experience from one individual to the next will be different. Microsoft is a strong partner to help Walmart pull something off within this realm. Microsoft's Azure cloud services give Walmart the speed, scale and security to process the data required in real-time; Microsoft's stable of mobile application partners, often on display annually in Microsoft's booth at NRF, is incredibly formidable; Microsoft's recently announced Partner of the Year, AVA retail .AI , also happens to specialize in location analytics and visual recognition technology, which, for those scoring at home, happens to be similar to the components within Amazon's Go concept; and Microsoft, unlike other cloud providers not named Amazon, actually runs its own stores. Everything within this potential partnership just passes the smell test. But keep in mind, Walmart is only through mile one of the next-generation retail marathon. While partnering with Microsoft is the right move by Walmart, Walmart's next-generation life will only take shape once the company pushes itself to the edge of its current comfort zone. Amazon and Alibaba likely both have a leg up in the race because of their lack of existing physical retail operational, technological, architectural and cultural debt, so Walmart will, in many ways, have to work harder than the next guy. The greatest barriers to entry for new retailers are physical stores themselves. Physical stores are expensive for upstarts to build. What matters, then, is not so much the Walmart stores that people know today, but the Walmart stores that people will know 10 to 20 years from now. Future Walmart stores will need to look vastly different, regardless of how ready the Baby Boomers and Generation X are for the eventual transformation. Transforming Walmart stores for future generations will require thinking similar to how Apple designs its products. Just as Apple removes features that customers love in nearly every new product release—things like disk drives, earphone jacks, etc.—so too must current aspects of Walmart's business go away in the aim of long-term generational progress. Will Walmart have the grit and determination to keep at it? Doug McMillon has thus far shown that he is the right man for the job. The partnership with Microsoft signals that he is taking the right approach and will not go down without a fight. While many retailers find themselves in a position unable to fight or are even happy treading water in the hopes of riding out what is, in reality, an insurmountable storm, McMillon appears to be willing to make the tough choices required to move Walmart forward. McMillon appears to be playing the long game—selling off assets to sharpen the company's focus (Asda), bringing in new talent and perspectives (Marc Lore, Valerie Casey and others), focusing more on R&D (Store No. 8), and finding the right partners that could be essential to survival (Microsoft). 2019 could be the watershed year for McMillon and for Walmart. It could be the year that the seeds of his hard work, firmly planted in the ground, take root, begin to sprout and give the public a glimpse of Walmart's own Amazon- and Alibaba-like vision of what the future could be. Until now, the public has seen only small, incremental tidbits of what Walmart's store of the future could look like, but this new partnership with Microsoft likely portends that there is far more on the horizon, that Walmart too will dream the American dream of entrepreneurship and do all that it can to lead retail through the next great innovation cycle in retail. The clock is ticking. Now is not the time to follow. Now is the time to lead. America needs Walmart to do exactly what it appears to be doing.